When Alvin Hall was invited back to Wakulla High School in Crawfordville, Florida for a special honor, he thought it was a joke. 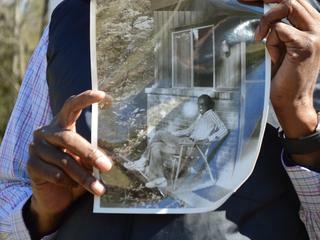 He hadn’t returned to his high school since 1976 after he noticed that his photograph had been removed. 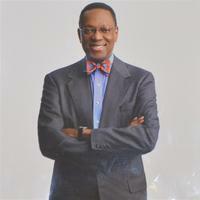 Alvin graduated in 1970 as the school's first African-American valedictorian. 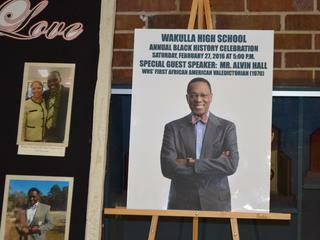 In the years since he left Wakulla, Alvin Hall has become a successful author, and television and radio host. After nearly 40 years, Alvin returned to the school on an unexpected and emotional journey. A Southern high school erased the history of its first black valedictorian. Here's what happens when that student returns. 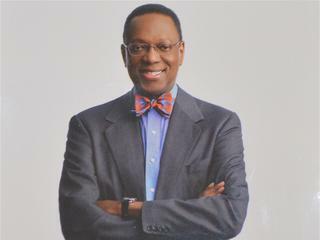 The fourth and final installment of Alvin Hall's story culminates with a return to Alvin's high school, and the celebration of Alvin Hall Day. 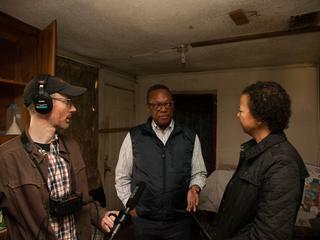 In part three of Alvin Hall's story, Alvin confronts his family's past and for the first time finds his father in old home movie footage. For the second part of Alvin Hall's story, we head to Shadeville Road, to places he once called home, and where memories of family and faith came flooding back. 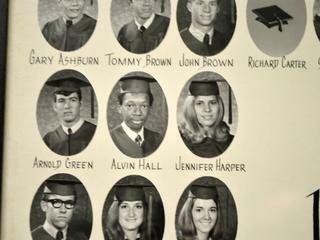 Alvin Hall was his school's first black valedictorian, but he says his photo was replaced with a picture of two white classmates. Now, he's making an emotional journey back.